You'll find something for everyone visiting the area, from challenging outdoor activities abound for adventurers seeking a more active trip to families wanting to visit family attractions all year round. In this region of the state you will also find some of New Hampshire’s beautiful natural attractions. Nature-lovers can explore to their heart’s content and never get tired. Hikers and mountain bikers will love the trails that go for miles through scenic woodlands and climb up the highest mountain slopes in New England. Producer of large craft fairs and festivals throughout New England. Explore the world’s largest candy counter, and enjoy delicious fudge, chocolates, truffles, and candies of all kinds! Two locations: Littleton & Lincoln, NH. Authentic, old fashioned general store family owned since 1896! On site maple sugar house, 5 time winner of ”Best Maple Syrup in New Hampshire”. Groceries, souvenirs, and the areas largest selection of maple syrup and maple sugar products. Paint your own pottery studio, fun for the whole family! All aboard for a 15-mile, 1 hr. & 20 min. 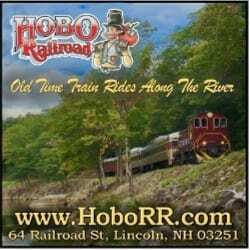 roundtrip train excursion in a picturesque, woodsy setting along the Pemigewasset River in restored vintage coaches. Hobo picnic lunches & ice cream are available. The Ice Castle in Lincoln New Hampshire is an awe-inspiring one acre in size, a must-see winter phenomenon that brings fairy tales to life. The Ice Castle is built entirely by hand and includes breathtaking LED-lit sculptures, frozen thrones, ice-carved tunnels, slides and foundations. Enjoy musical theater, concerts and comedy year-round in Lincoln at Jean’s Playhouse! A two-hour adventure, The Journey to the North Pole™ takes you on a magical trip to see Santa in his workshop at the North Pole! Tour Lost River Gorge on boardwalks, following the river as it appears and disappears among the chaotic jumble of glacially scattered boulders. Explore caves if you choose, but all caves can be by-passed, Gemstone mining, and more. Muddy Paw Sled Dog Kennel offers year round dog sledding adventures. Trips range from 2-50 miles (we offer overnights too). Pet the rescue dogs, help harness and hitch the team, even drive the sled! The New England Ski Museum’s mission is to collect, conserve, and exhibit elements of ski history for research, education and inspiration. Stop in to see a piece of history. Appx. 6,000 square feet of exciting and varied terrain for all ability levels and ages on walls up to nearly four stories tall, including extensive bouldering, top-roping, and lead climbing. Offering guided ATV and kayaking tours to both novices and experienced adventurers.  These guided tours are in the White Mountain National Forest where you will explore the vast woods and peaks of New Hampshire and see some breathtaking views from the trails. Moose & Wildlife Tours – 2 1/2 hour air conditioned bus tour through the White Mountains. Moose gift shop! Schedule varies, call for reservations. The Polar Caves formed about 50,000 years ago, come explore the amazing series of caves and passageways on self-guided tours. Your resource for NH’s alpine and cross country ski areas across the state. Snow conditions, great deals, events, snowtubing, lodging & guest services. Offering guided ATV tours, suited for every ability- from the beginner to the expert. When conditions are appropriate, our tours run every day so let’s Live For The Ride!! Offering a safe environment for clients to learn to be better drivers. We teach skid control, accident avoidance and vehicle dynamics. Owned and managed by the Society for the Protection for New Hampshire’s Forest, this is a unique property where family traditions come alive. Offering family programs, bus tours, hiking trails. Stop by our White Mountain Visitor Center on the Kancamagus Highway just off I-93 at exit 32 or call for a free vacation planner.